The Roman Anglican: Saint Bartholomew the Great: London's best preserved Medieval church. 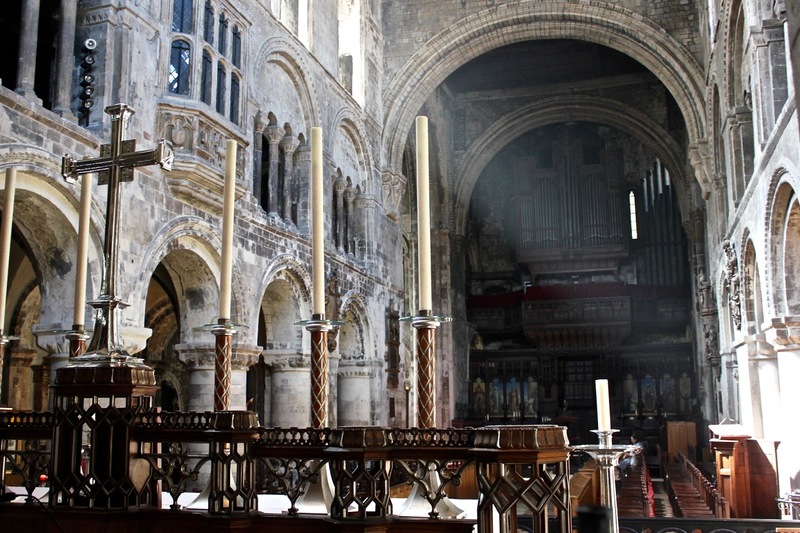 Saint Bartholomew the Great: London's best preserved Medieval church. 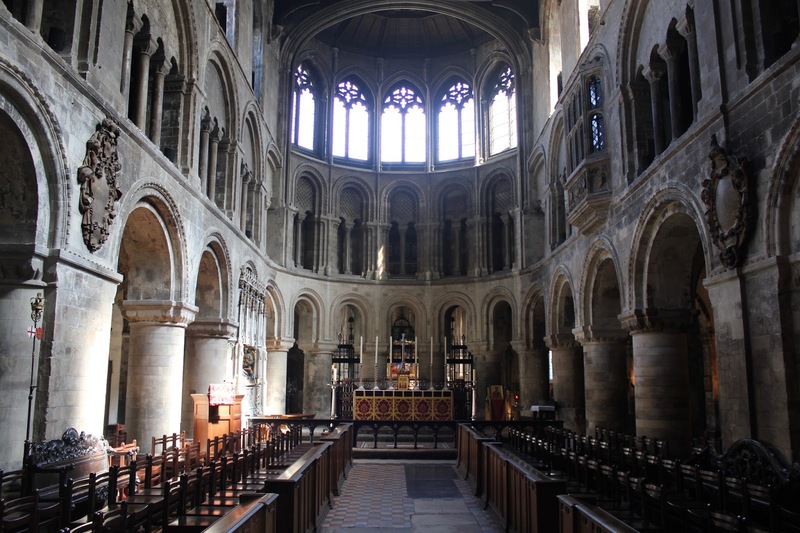 The church of Saint Bartholomew the Great in London is the best preserved Norman building in London, it was founded in 1123 by Rahere, a prebendary of Saint Paul's and an Augustinian canon. 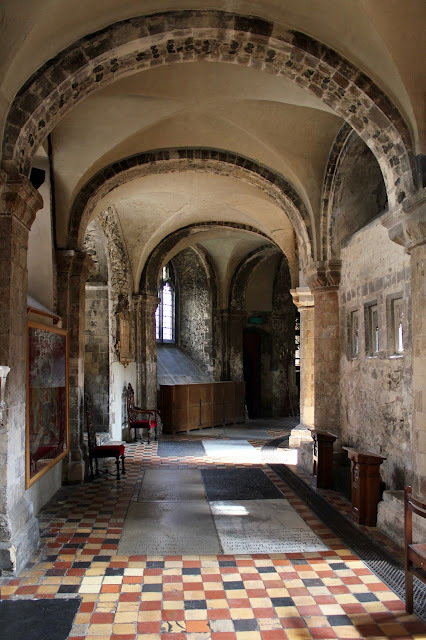 According to legend, Rahere was originally a jester - he travelled to Rome on pilgrimage and fell ill - he was hospitalised in Saint Bartholomew on the Tiber Island and at length he made a vow to build a church dedicated to that saint in London. The current building was part of a larger complex, with a priory and a hospital. Whereas much of the hospital survived the Reformation, the the priory and the church were pulled down, the latter until the crossing, which still survives together with the choir, in its Norman style. 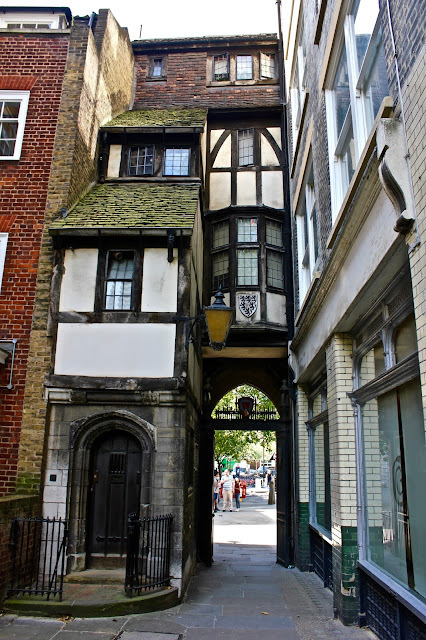 The church can be accessed through a Tudor frontage which was erected after the Reformation by Lord Rich between 1547 and 1551. 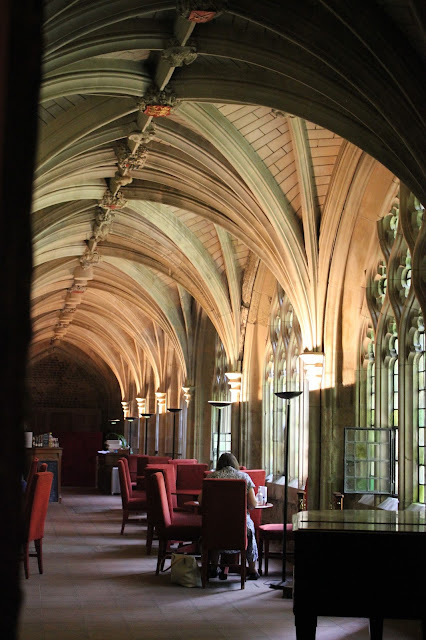 Only part of the cloisters remain of the Medieval priory - they now host a cafe. The church escaped the fire of London in 1666 and subsequently fell into disrepair, the Lady Chapel had been used for commercial purposes, in it Benjamin Franklin worked as a journeyman printer for a year. The Priory Church was one of a few to escape damage during the WWII. 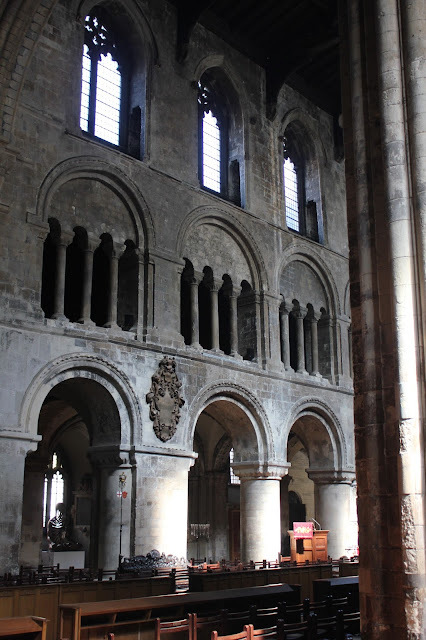 The interior is quite impressive and solemn, despite the church was basically cut in two one can still feel the vastness of it, the beautiful nave and ambulatory behind the high altar are in the Romanesque, Norman style, whereas the Lady Chapel and the transepts are in the English Gothic one. 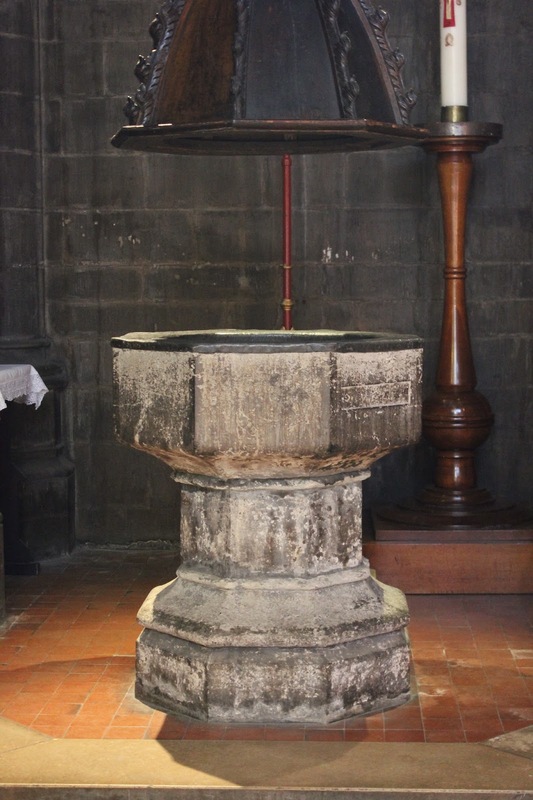 The round apse in England was quite rare and it was introduced by the French. Later were added Perpendicular features around the apse and transepts. In the south transept is the baptismal font from 1405, it is only one of the two pre-Reformation ones in London, painter William Hogarth was baptised in it on 28 November 1697. 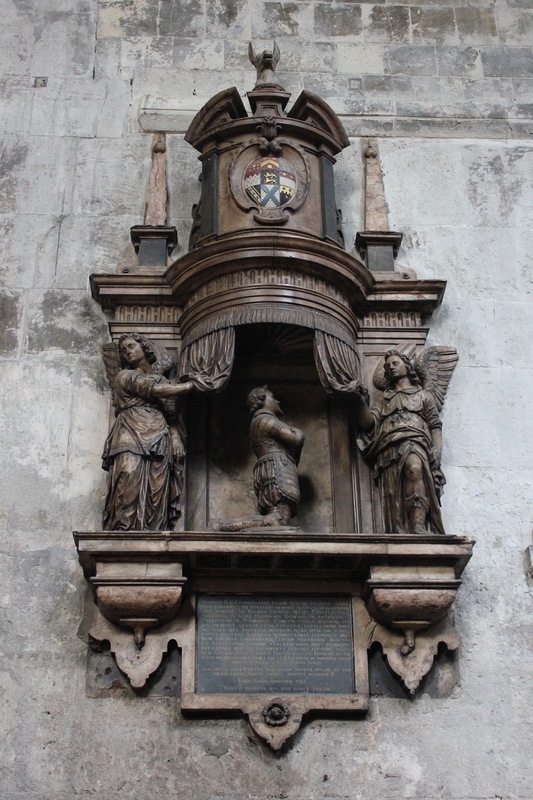 In the right aisle is the late 16th century monument to Sir Walter Mildmay and his wife, he was the founder of Emmanuel College in Cambridge and Chancellor of England under Elizabeth I. Behind the high altar is the Lady Chapel, as has already been mentioned and also a large ambulatory in the massive Romanesque style. In the chancel is the tomb of Prior Rahere, founder of the priory and courtier of Henry I, died in 1143. 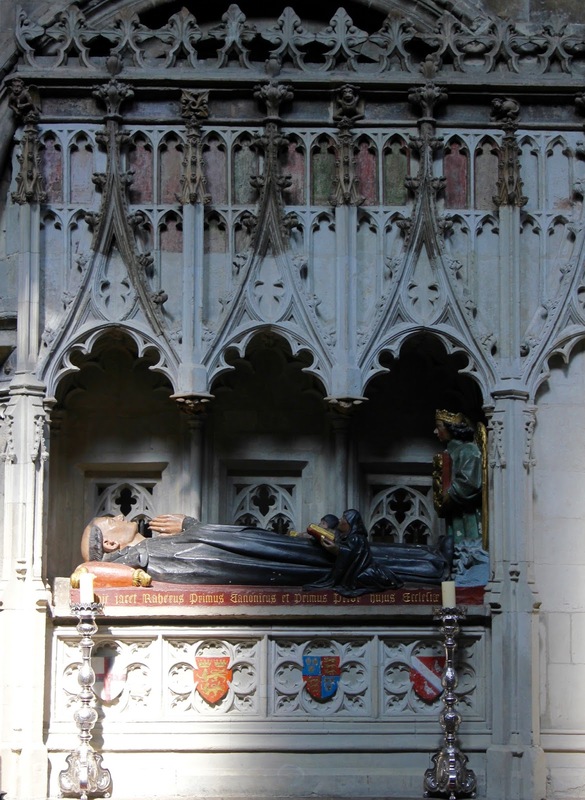 The tomb dates from 1405 and it portrays him dressed in the Augustinian habit, an angel carries a shield with the arms of the priory: the lions of Normandy surmounted by two crowns. 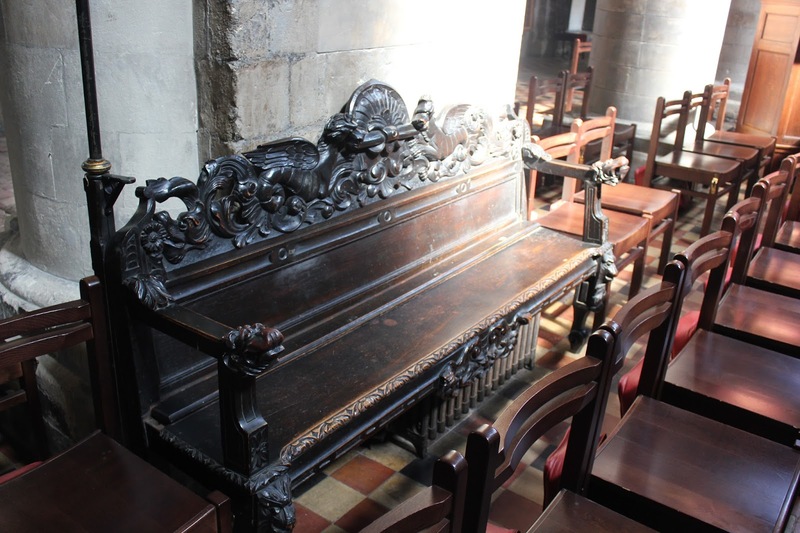 In the choir there is also a fascinating Jacobean carved pew that also holds the warden's stick. On the left aisle is the rather fascinating monument to Sir Robert Chamberlayne. 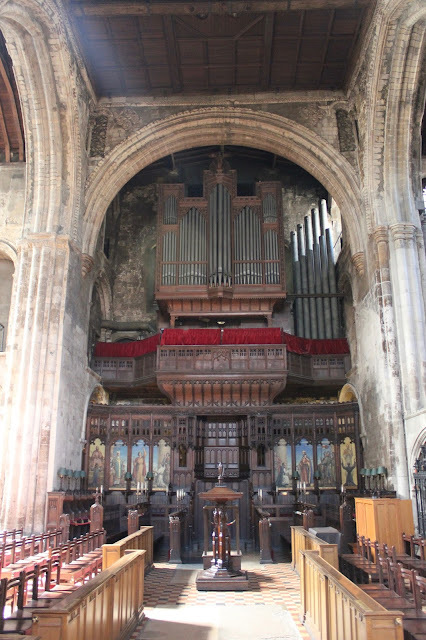 The great lectern is made out of ancient timbers of the Lady Chapel. Perhaps the most interesting feature of Saint Bartholomew's is the Perpendicular oriel window: installed in the early 16th century by Prior William Bolton, so that he could keep an eye on the friars during the liturgy! 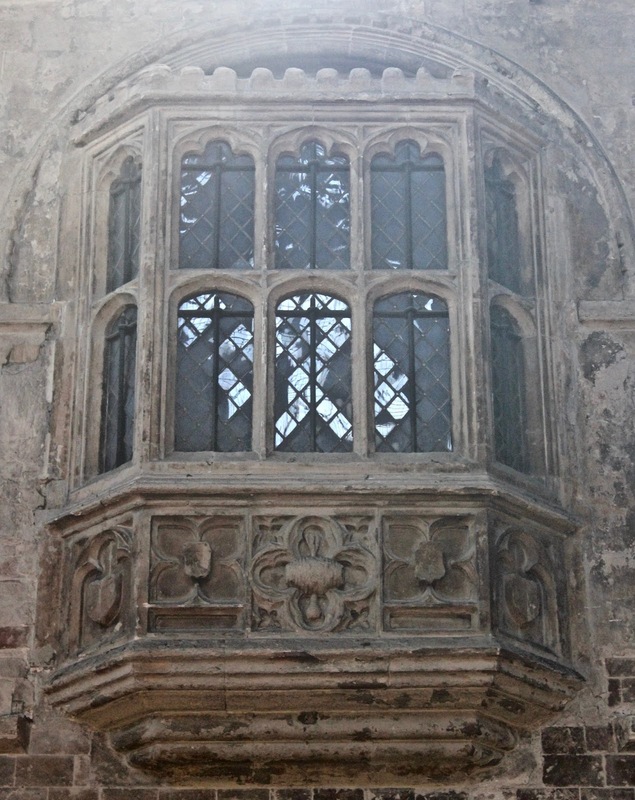 There is also a rebus in the carving below the window: it represents a tun (barrell) pierced by a bolt - thus punning on the Prior's surname! 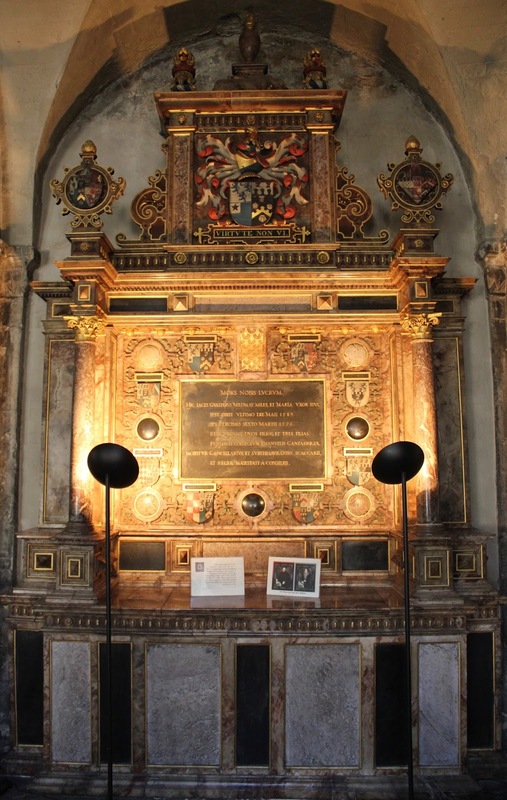 The Daddi Polyptych at the Courtauld Institute. The most amazing Flemish tapestries. The lost religious houses of London.